Dmitry Victorovitch Evtyugin (Evtuguin) was born the 05 of April of 1963, natural of Petrozavodsk, Republic of Karelia (USSR), married, 1 son. Graduated in Engineering and Chemical Technology, specialty Chemical Processing of Wood, by Leningrad Forest Technical Academy (LFTA), USSR (1985). Candidate of Chemical Science (PhD) in Chemistry (Wood Chemistry) by LFTA, USSR (1988). Have got the equivalence to PhD degree in Chemistry by the University of Aveiro (UA) (2001). Since 2001 hold the position of Associate Professor at the Department of Chemistry of the University of Aveiro. Previously have been executed the functions of Invited Associated Professor, Visiting Professor at the Department of Chemistry of the UA, Associated Professor at the Department of Wood Chemistry of LFTA. Participated in a series of academic juries (PhD and MSc) and scientific committees of international conferences. 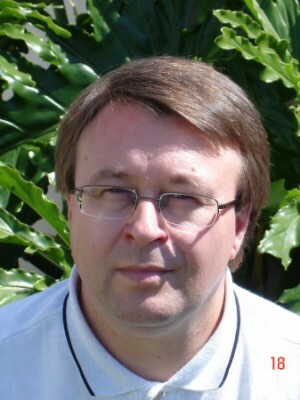 Member of the Editorial Board of international journals in the area of wood chemistry and technology (Holzforschung and Journal of Wood Chemistry and Technology). 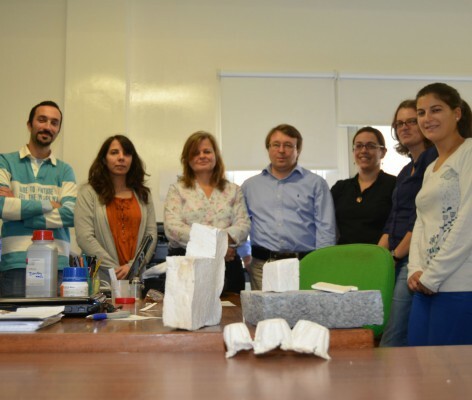 Initiator and promoter of the collaboration between the University of Aveiro and the Caima Cellulose Company, S.A. in the research/formation area relating to the technology and production of acidic sulfite pulp and biorefining. Participated in the formation of research group in the area of Chemistry and Technology of Lignocellulosics at the Depatment of Chemistry of the UA. Oriented/ participated in the orientation of 14 post doctorate students, 21 PhD students and 83 MSc students. Coordinated/participated in a series of research projects financed by national and European programs (52 totally). Author/ co-author of 13 book chapters, more than 200 articles published in peer-reviewed journals, 120 oral and 210 poster communications on the scientific conferences, 6 patents. 1. General problems of wood chemistry (structure and occurrence of macromolecular constituents in wood tissues). 2. Analytical methods in wood chemistry (analytical approaches for the wood constituent’s quantification and their structural analysis). 3. Fractionation and analysis of wood and non-wood plant materials (development of techniques for the plant materials fractionation and structural/chemical characterisation of isolated fractions). 4. Lignin structure and reactivity (analysis of functional groups, structural analysis, molecular weight determination, lignins reactivity in oxidation reactions in organic solvents and aqueous media, modification reactions of lignin). 5. Chemistry of oxygen delignification, organosolv pulping, new oxidative technologies of pulping and bleaching (development of new ecologically sound technologies of pulping and bleaching, particular interest to the lignin oxidative catalysis with catalysts). 6. 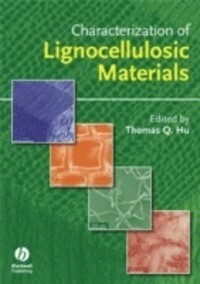 NMR (liquid and solid-state) of wood macromolecular components (lignin, cellulose, hemicelluloses). 7. Mass spectrometry (ESI-MS and MALDI-TOF) of lignin, lignin derivatives and hemicelluloses. 8. Oxidative and acid/base catalysis with polyoxometalates. 9. Biocatalysis (application of lignolytic enzymes). 10. Physical and surface properties of chemical pulps. 11. Paper properties (physic properties and printability). 12. Wood based composite materials (fibre boards based on non phenol-formaldehyde adhesives). 13. Organic-inorganic hybrids based on chemical pulp and wood. 14. Lignin based synthetic polymers (development of approaches for the synthesis of new lignin-based polymer formulations). Coordination of the research group in coloboration with 4 Professors from the Chemical Engineering group. Superviser of 3 post-doctorate students, 6 PhD students, 8 MSc students and 2 researches. Coordenator/participant of scientific/R&D projects with total funds of ca. 4528k€. Instituto de Recursos Naturales y Agrobilogía de Sevilla (Spain). Ecole Française de Papeterie e des Industries Graphiques (EFPG-INPG, Grenoble, France). 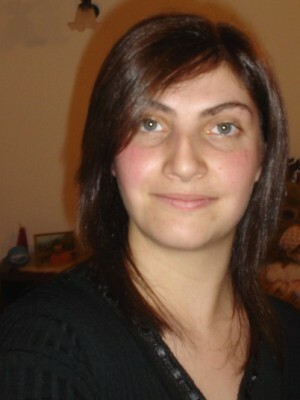 -Responsible for a series of disciplines related to Wood Chemistry and Technology (B. Sc.) on the Depatment of Chemistry at the University of Aveiro. -Participation in M. Sc. course on Chemical Engineering Processes of the Pulp and Paper Production (RAIZ/UA/UC/UBI). - Participation in M.Sc. course on Chemistry of Natural and Food Products (UA). -Member of the coordination consil of integrated M. Sc. course on Chemical Engineering. -Responsible for a series of seminars and 5th year stages of B. Sc. students in collaboration with industry on the Depatment of Chemistry at the University of Aveiro . 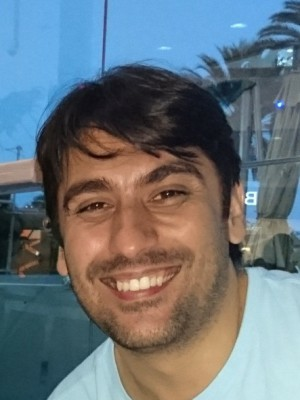 • Participante do projeto “Inovadores adesivos têxteis condutores (CONDADE)” (POCI-01-0247-FEDER-034076, no âmbito de Portugal 2020, 2018-2021). • Coordenador do projeto “Novas abordagens na desinfeção e branqueamento de rolhas de cortiça (NEWASHCORK)“ (POCI-01-0247-FEDER-034048, no âmbito de Portugal 2020, 2018-2021). • Coordenador do projeto “Estudo sobre o cozimento de sulfito ácido para a produção de pasta solúvel“ no âmbito da bolsa BDE (Projeto CV 115/2018 de investigação científica e desenvolvimento tecnológico em colaboração com CAIMA-Industria de cellulose SA, 2018-2022). • Coordenador do projeto “Avaliação de subprodutos de alto valor acrescentado da linha produção de pasta solúvel” (Projeto CV 106/2017 de investigação científica e desenvolvimento tecnológico em colaboração com CAIMA-Industria de cellulose SA, 2018-2019). • Participante do projeto “Produtos e Tecnologias Inovadores a partir de Madeira do Eucalipto (InPaCTus)" (Projeto temático RCI/AICEP/ANI de investigação científica e desenvolvimento tecnológico em colaboração com NAVIGATOR SA, POCI-01-0247-FEDER-021874, 2017-2021). Coordenador de 5 subprojetos temáticos. • Participante do projeto “Transferência de competências integradas e geradoras de inovação empresarial na Região Centro (INTEGRA@TEC)“ (CENTRO-46-2016-01, no âmbito de Portugal 2020, 2017-2021). 1. Gamelas, J., Evtuguin, D.V. and Gaspar, A. Transition Metal Complexes in the Delignification Catalysis. In: "Transition Metal Chemistry: New Research",B. Varga and L. Kis, Eds., pp. 15-57, NovaPublishers, HuntingtonNY11743US (2008). ISBN 978-1-60456-702-1. 2. Fernandes, D.L.A., Perreira, S.R., Serafim, L., Evtuguin, D.V. and Xavier, A.M.B. Chapter 6. Second Generation Bioethanol from Lignocellulosics and Hardwood Sulphite Spent Liquor. 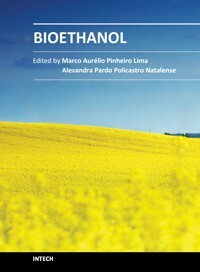 In: “Bioethanol”, Marco A. P. Lima (Ed. ), INTECH (open access publisher) pp. 123-152 (2012). ISBN 978-953-51-0008-9. 3. Rudnitskaya A. and Evtuguin D.V. Lignin applications in chemical sensing. 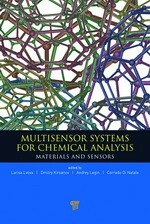 In: "Multisensor systems for chemical analysis: materials and sensors", by L. Lvova, D. Kirsanov, A. Legin, C. Di Natale (Eds.) Pan Stanford Publishing, Inc. (2014). ISBN 9789814411158 for hardcover. 4. Tavares, A.P.M., Xavier, A.M.R.B., Evtuguin, D.V. Biotechnology Applications in Pulp and Paper Industry. In: Recent Developments in Biotechnology Vol. 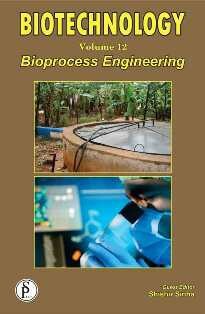 12: Bioprocess/ Biochemical Engineering. J.N. Govil (Ed. ), STUDIUM PRESS LLC, Houston, USA pp. 561-581 (2014). Series ISBN: 1-62699-015-8; ISBN: 1-62699-027-1. 5. Evtuguin, D.V. Chapter 8. Sulphite Pulping. 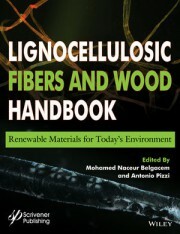 In: “Lignocellulosic fibers and Wood Handbook”, N. Belgacem, A. Pizzi (eds. ), WILEY-SCRIVENER PUBL. LLC, pp 225-244 (2016). ISBN: 978-1-118-77352-9. Gamelas, J.A.F., Rebola, S. M., Evtyugina, M.G., Esteves, V.I. Evtuguin, D.V. Purification of pulp mill condensates by adsorptive process on activated carbon. Holzforschung (2018). In press. Veríssimo, M.I.S., Oliveira, J.A.B.P., Evtuguin, D. V., Gomes, M.T.S.R. Discrimination of books by paper composition and paper condition based on emitted VOC’s detected by an electronic nose. Sensors and Actuators B: Chem. (2018). Accepted. Tribulová, T., František Kačík, F., Evtuguin, D.V., Čabalová, I., Ďurkovičd, J. The effects of transition metal sulfates on cellulose crystallinity during accelerated ageing of silver fir wood. Cellulose (2018). Accepted. Krolow Soares, A., Gonzalez de Cademartori, P.H. 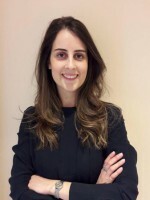 , Evtyugin, D. V. , Paula Zanatta,P., Gatto D. A. Eficiência do tratamento combinado de impregnação e termorretificação nas propriedades da madeira de pinus. Matéria (1918). In press. Rodrigues, P.F., Evtyugin, D.D., Evtuguin, D.V., Prates, A.Extractive Profiles in the Production of Sulphite Dissolving Pulp from E. globulus. J. Wood Chem. Technol. (2018). In press. Pereira, I., Simões, J. Evtuguin, D.V., Rouif, S. Coimbra, M.A. Domingues, M.R.M. Gama. M. Effects of gamma irradiation and periodate oxidation on the structure of dextrin assessed by mass spectrometry. Europ. Polymer J. 103: 158-169 (2018). Ferreira, J., Esteves, B., Cruz-Lopes, L., Evtuguin, D.V., Domingos, I. Environmental advantages to produce energy from grape stalk pellets instead wood pellets and other sources. International Journal of Environmental Studies 75(5) 812-826 (2018). Veríssimo, M.I.S., Gamelas, J.A.F., Simões, M.M.Q., Evtuguin, D. V., Gomes, M.T.S.R. Quantifying acetaldehyde in cider using acoustic wave sensor coated by Mn (III)-substituted polyoxotungstate. Sensors and Actuators B: Chem. 255: 2608-2613 (2018). Fernandes, M.C., Ferro M.D., Paulino, A.F.C., Chaves, H.T., Evtuguin, D.V., Xavier, A.M.R.B. Comparative study on hydrolysis and bioethanol production from cardoon and rockrose pretreated by dilute acid hydrolysis. Ind. Crops &Products 111: 633-641 (2018). 10. Jablonskis, A., Arshanitsaa,A., Arnautov, A., Telysheva, G. Evtuguin, D.V., Evaluation of Ligno Boost™ softwood kraft lignin epoxidation as an approach for its application in cured epoxy resins. Ind. Crops &Products 112: 225-235 (2018). 11. Costa, E., Azevedo, V., Melo, T., Rego, A.M., Evtuguin, D.V., Domingues, Calado, P., Pereira, R., Abreu, M.H., Domingues, M.R. High-Resolution Lipidomics towards the Valorization of Life History Stages of Porphyra dioica. Molecules 23: 187 (2018). 12. Ramos, A.M., Sousa, S., Evtuguin, D.V., Gamelas, J.A.F. Functionalized xylans in the production of xylan-coated paper laminates. Reactive and Functional Polymers 117: 89–96 (2017). 13. Sousa, C.T., Evtuguin, D.V.,* Amaral, J.L. Hardwood kraft pulp structural features affecting refinability. Holzforschung 71(7-8): 619-624 (2017). 14. 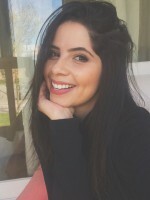 Salgueiro, A. M., Santos, M. D., Saraiva, J. A., Almeida, F., Sousa, I., Tedim, J., Nogueira, H.I.S., Evtuguin D.V. * Ultra-high pressure modified cellulosic fibres with antimicrobial properties. Carbohydr. Polym. 175:303-310 (2017). 15. Tribulová, T., Kacík, F., Evtuguin D.V. Impacts of inorganic chemicals used for wood protection: a review. Acta Facultatis Xylologiae Zvolen 59(2): 5−22 (2017). 16. Carvalho, D.M., Abad, A.M., Evtuguin, D.V., Colodette, J.L.,. Lindström, M. E., Vilaplana, F. Isolation and Characterization of Acetylated Glucuronoarabinoxylan from Sugarcane Bagasse and Straw. Carbohydr. Polym. 156: 223-234 (2017). 17. Veríssimo, M.I.S., Gamelas, J.A.F. Evtuguin, D.V., Gomes M.T.S.R. Determination of 5-hydroxymethylfurfural in honey, using head space solid-phase microextraction coupled with a polyoxometalate-coated piezoelectric quartz crystal Food Chemistry 220: 420–426 (2017). 18. Magina, S., Santos, M.D., Ferra, J., Cruz, P., Portugal, I., Evtuguin, D.V. High Pressure Laminates with Antimicrobial Properties. Materials 9, 100 (2016). 19. Salgueiro, A.M. Evtuguin, D.V., Saraiva, J. A., Almeida, F. High pressure-promoted enzymatic treatment to enhance papermaking properties of recycled pulp. Appl. Microbiol Biotechnol. 100: 9885–9893 (2016). 20. Tribulová, T., Kacík, F., Evtuguin D., Cabalová, I. Assessment of chromophors in chemically treated and aged wood by UV-Vis diffuse reflectance spectroscopy. Cellulose Chem. Technol., 50 (5-6): 659-667 (2016). 21. Tribulová, T., Kačík, F., Evtuguin, D.V., Čabalová, I. Influence of Chemical Treatment on Chemical Changes of Fir Wood, Key Engineering Materials, 688: 38-43, (2016). 22. Simões, J., Moreira, A.S.P., Costa, E., Evtyugin, D.V., Domingues, P., Nunes, F.M., Coimbra, M.A., Domingues, M. R. M. Oxidation of amylose and amylopectin by hydroxyl radicals assessed by electospray ionisation mass spectrometry. Carbohydr. Polym. 148, 290-299 (2016). 23. 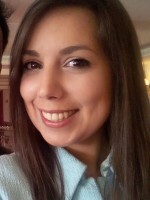 Sousa, S., Ana Ramos, A., Evtuguin, D.V., Gamelas, J. Xylan and xylan derivatives - their performance in bio-based films and effect of glycerol addition. Ind. Crops Products 94: 682–689 (2016). 24. Moreira, A., Simões, J., Nunes, F., Evtuguin, D.V. Domingues, P., Coimbra, M.A., Domingues, M. R. Non-enzymatic transglycosylation reactions induced by roasting: new insights from models mimicking coffee bean regions with distinct polysaccharide composition. J. Agric. Food Chem. 64: 1831-1840 (2016). 25. Magina, S., Ferra, J., Cruz, P., Portugal, I., Evtuguin, D.V. Fluorinated polyhedral oligomeric silsesquioxane nanoparticles to boost the dirt repellence of high pressure laminates. Chem. Eng. J. 301: 362-370 (2016). 26. Figueiredo, A.B., Magina, S., Evtuguin, D.V., Cardoso, E.F., Ferra, J., Cruz, P. Factors Affecting the Dimensional Stability of Decorative Papers under Moistening. Bioresources 11(1): 2020-2029 (2016). 27. Neto, E., Magina, S., Camões, A., Begonha A., Evtuguin, D.V., Cachim, P. Characterization of concrete surface in relation to graffiti protection coatings. Construction and Building Materials 102: 435–444 (2016). 28. J.A.F. Gamelas, J.A.F., Oliveira, F., Evtyugina, M.G., Portugal, I., Evtuguin, D.V. * Catalytic oxidation of formaldehyde by ruthenium multisubstituted tungstosilicic polyoxometalate supported on cellulose/silica hybrid. Appl. Cat. A: Chem., 509: 8-16 (2016). 29. Dias, V.M., Kuznetsova, A., Tedim, J., Yaremchenko, A.A., Zheludkevich, M.L., Portugal, I., Evtuguin, D.V. Silica-based nanocoating doped by layered double hydroxides to enhance the paperboard barrier properties. World J. Nano Sci. Eng. 5(4): 126-139 (2015). 30. Sousa, J.I.T, Moura, A.I.G., Evtuguin, D.V., Carvalho, M.G.V.S. Enzymatic treatment applied as a final stage in E. globulus kraft pulp bleaching. J. Chem. Technol. Biotechnol. 91: 547–554 (2016). 31. Sousa, I., Frederico Maia, F., Silva, A., Cunha, A., Almeida, A., Evtyugin, D.V., Tedim, J., Ferreira M.G. A novel approach for immobilization of polyhexamethylene biguanide within silica capsules. RSC Advanc. 5: 92656–92663 (2015). 32. Ferro M.D., Fernandes, M.C., Paulino, A.F.C., Prozil, S.O., Gravitis, J., Evtuguin, D.V., Xavier, A.M.R.B. Bioethanol production from steam explosion pretreated and alkaliextracted Cistus ladanifer (rockrose). Biochem. Eng. J. 104: 98-105 (2015). 33. Fernandes, M.C. Ferro, M.D., Paulino, A.F.C., Mendes, J.A.S., Gravitis, J., Evtuguin, D.V., Xavier, A.M.R.B. Enzymatic saccharification and bioethanol production from Cynara cardunculus pretreated by steam explosion. Bioresource Tecnnol. 186: 309-315 (2015). 34. Magina, S., Santos, A.P., Evtuguin, D.V. * Study on the residual lignin in Eucalyptus globulus sulphite pulp. Holzforschung 69(5), 513-522 (2015). 35. Krutov, S.M., Evtuguin, D.V., Ipatova, E.V., Santos, S.A.O., Sazanov, Yu. N. Modification of acid hydrolysis lignin for value-added applications by micronization followed by hydrothermal alkaline pretreatment. Holzforschung 69(6): 761-768 (2015). 36. Gudiña, E.J., Pereira, J.F.B., Costa, R., Evtuguin, D.V., João AP Coutinho J.A.P., Teixeira, J.A., Rodrigues, L.R. Novel bioemulsifier produced by a Paenibacillus strain isolated from crude oil. Microbial Cell Fact. 14:14 (2015). 37. Passos, C.P., Cepeda, M.R., Ferreira, S.S., Nunes, F.M., Evtuguin, D.V., Madureira, P., Vilanova, M., Coimbra, M.A. Influence of molecular weight on in vitro immunostimulatory properties of instant coffee. Food Chemistry 161: 60–66 (2014). 38. Tribulová, T., Kacik, F., Evtuguin, D.V. Cabalová, I. Utilization of Raman spectroscopy and other spectroscopic methods in evaluation of brightness reversion of pulp. Acta Facultatis Xylologiae Zvolen, 56(2), 63-72 (2014). 39. Serdechnova, M., Ivanov, V. L., Domingues, M. R. M., Evtuguin, D.V., Ferreira, M.G.S., Zheludkevich, M. L. Photodegradation of 2-mercaptobenzothiazole and 1,2,3-benzotriazole corrosion inhibitors in aqueous solutions and organic solvents Phys. Chem. Chem. Phys. 16: 25152-25160 (2014). 40. Prozil, S.O., Evtuguin, D.V.,* Silva, A.M.S., Cruz Lopes, L.P. Structural Characterization of Lignin from Grape Stalks (Vitis vinifera L.). J Agric. Food Chem. 62: 5420-5428 (2014). 41. Moreira, A.S.P., Elisabete V. da Costa, E.V., Evtuguin, D.V., Coimbra, M.A., Fernando M. Nunes, F.M., Domingues, M.R.D. Neutral and acidic products derived from hydroxyl radical-induced oxidation of arabinotriose assessed by electrospray ionisation mass spectrometry. J. Mass Spectrom. 49: 280–290 (2014). 42. Antunes, M.M., Russo, P.A., Wiper, P.V., Martyn Pillinger, J.V., Mafra L., Evtuguin, D.V., Pinna N., Valente, A.A. Sulfonated Graphene Oxide as Effective Catalyst for Conversion of 5-(Hydroxymethyl)-2-furfural into Biofuels. ChemSusChem 7: 804 – 812 (2014). 43. Evtyugina, M., Alves, C., Calvoa, A., Nunes, T., Tarelho, L., Duarte, M., Prozil, S.O., Evtuguin, D.V., Pio C. VOC emissions from residential combustion of Southern and mid-European wood. Atmospheric Environment 83: 90-98 (2014). 44. Costa, E.V., Lima, D.L.D., Evtyugin, D.V, Esteves V.I. Development and application of capillary electrophoresis method for the determination of ellagic acid in E. globulus wood and in filtrated from E. globulus kraft pulp. Wood Science Technol 48:99–108 (2014). 45. Wedin, H., Sevastyanova, O., Evtuguin, D.V., Ragnar, M., Lindström, M.E. Impact of extended-impregnation cooking on the xylan structure in Eucalyptus urograndis kraft pulps. Nordic Pulp & Paper Research Journal 28 (4): 498-505 (2013). 46. Mendes, J.A.S., Xavier, A.M.R.B., Evtuguin, D.V., Cruz Lopes, L. P. Integrated utilization of grape skins from white grape pomaces. Ind. Crops & Products 49: 286– 291 (2013). 47. Dizhbite, T., Jashina, L., Dobele, G., Andersone, A., Evtuguin, D.V. Telysheva, G.M. Polyoxometalate (POM)-aided modification of lignin from wheat straw biorefinery. Holzforschung 67(5): 539-547 (2013). 48. Martins, C., Duarte, R., Magalhãis, C. Evtuguin, D. V. Arsenic removal by cellulose-based organic/inorganic hybrid materials from drinking water. Materials Science Forum 730-732: 563-568 (2013). 49. Mendes, J. A.S., Evtuguin, D.V. , Cruz Lopes, L. P. Chemical Characterization of Grape Skins from Red Grape Pomaces. Pomaces. Ind. Crops & Products 43:25-32 (2013). 51. Loureiro, P.E.G., Sousa, J.I.T., Carvalho, M.G.V.S., Evtuguin, D.V. Xylan contribution to the brightness development and stability in the final ECF bleaching stage of eucalypt kraft pulp. Holzforschung 67(5): 497-503 (2013). 52. Mendes, J. A.S., Xavier, A.M.R.B., Evtuguin, D.V., Cruz Lopes, L. P. Integrated utilization of grape skins from white grape pomaces. Ind. Crops & Products 49: 286– 291 (2013). 53. Rudnitskaya, A., Evtuguin, D. V., Cadillon Costa, Graça, L.M.P.F, Fernandes, A.J.S., Correia, M.R.P., Gomes M.T.S.R., Oliveiraa J.A.B.P. Potentiometric chemical sensors using conductive lignin-based polyurethanes. Analyst 138: 501-508 (2013). 54. Santos, D.A.S., Rudnitskaya, A., Evtuguin, D.V. Modified kraft lignin for bioremediation applications. J. Environ. Sci. Health, Part A. 47(2): 298–307 (2012). 55. Prozil, S.O., Evtuguin, D.V. , Cruz Lopes, L. P. Chemical Composition of Grape Stalks of Vitis vinifera L. from Red Grape Pomaces Ind. Crops & Products 35: 178-184 (2012). 56. Faria, F.A.C., Evtuguin D.V., Rudnitskaya, A., Gomes, M.T.S.R., Oliveira, J.A.B.P., Graça, M.P.F., Costa L.C. Lignin-Based Polyurethane Doped with Carbon Nanotubes for Sensor Applications. Polymer Intern. 61: 788–794 (2012). 57. Rudnitskaya, A., Gamelas, J.A.F., Evtuguin, D.V., and Legin, A. Study on the redox turnover of polyoxometalates using potentiometric chemical sensors. New J. Chem. 36: 1036–1042 (2012). 58. Gamelas, J.A.F., Evtyugina, M.G. I. Portugal, Evtuguin D.V. New polyoxometalate-functionalized cellulose/silica hybrids for environmental applications. RSC Adv. 2 (3): 831 – 839 (2012). 59. Oliveira, S.C.T., Figueiredo, A.B., Evtuguin, D.V., Saraiva J. A. High pressure treatment as a tool for engineering of enzymatic reactions in cellulosic fibres. Bioresource Technol.107: 530–534 (2012). 60. Loureiro, P.E.G., Fernandes, A.J.S., Domingues, M.R.M., Carvalho, M.G.V.S., Evtuguin, D.V. Effect of chlorine dioxide and hydrogen peroxide bleaching on the brightness stability of bleached cellulosic pulps. Carbohydrate Polymer 88: 726– 733 (2012). 61. Pereira, S. R., Ivanusa, S., Evtuguin, D. V., Serafim, L.S., Xavier, A. M.R.B. Biological treatment of eucalypt spent sulphite liquors: A way to boost the production of second generation bioethanol Bioresource Technol. 103: 131-135 (2012). 62. Graça, M.P.F., Costa L.C., Rudnitskaya, A., Faria, F.A.C., Evtuguin D.V., Gomes, M.T.S.R., Oliveira, J.A.B.P., Study on the lignin-derived conductive polymer by electrochemical impedance. Electrochem. Acta 76(1): 69-76 (2012). 63. Carreira, H., Evtuguin, D.V., Loureiro, P. E.G., Carvalho, M. G. V.S. Reductive Degradation of Residual Chromophores in Kraft Pulp with Sodium Dithionite. Tappi J. 11(3), 59-67 (2012). 64. Loureiro, P. E.G., Duarte, S., Evtuguin, D.V., Carvalho, M. G. V.S. The Role of Copper Ions in Hydrogen Peroxide Bleaching: Origin, Removal and Effect on Pulp Quality. Tappi J. 11(7): 45-54 (2012). 65. Fernandes, D.L.A, Silva, C.M., Xavier, A.M.R.B., Evtyugin D.V. Fractionation of Sulphite Spent Liquor for Biochemical Processing Using Ion Exchange Resins. 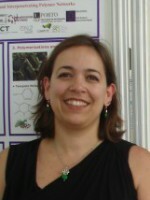 J. Biotechnol. 162: 415– 421 (2012). 66. Prozil, S.O., Evtuguin, D.V., Cruz Lopes, L. P. Structural characterization of polysaccharides isolated from grape stalks of Vitis vinifera L. Carbohydrate Res. 356, 252–259 (2012). 67. Costa, E. V., Moreira, A. S. P., Nunes, F. M., Coimbra, M. A., Evtuguin, D. V., Domingues, M. R. M. Differentiation between pentose disaccharide isomers by electrospray tandem mass spectrometry and discriminant analysis. Rapid Commun. Mass Spectrom. 26: 2897-2904 (2012). 68. Ershova, O., Fernandes, A. J.S., Domingues, M. R., Evtuguin, D.V., Sixta H. Effect of urea on cellulose degradation under conditions of alkaline pulping. Cellulose 19(6): 2195-2204 (2012). 69. Suyeon Kim, S., Silva, C., Evtuguin, D. V., Gamelas, J.A.F., Cavaco-Paulo A. Polyoxometalate mediated oxidative polymerization of catechol for textile dying. Applied Microbiol. Biotechnol. 89: 981-987 (2011). 70. Loureiro, P.E.G., Fernandes, A.J.S., Carvalho, M.G.V.S., Evtuguin, D.V. The final bleaching of eucalypt kraft pulps with hydrogen peroxide: relationship to industrial ECF bleaching history and cellulose degradation. J. Chem. Technol Biotechnol. 86: 381–390 (2011). 71. Santos, S. G., Marques, A.P., Lima D., Evtuguin D.V., Esteves, V. Kinetics of eucalypt lignosulfonate oxidation to aromatic aldehydes by oxygen in alkaline medium J. Ind. Eng. Chem Res. 50: 291-298 (2011). 72. Loureiro, P. E. G. Santos, A.S.M., Evtuguin, D. V., Carvalho M.G.V.S. The influence of ECF bleaching history on the performance of a final hydrogen peroxide stage. Appita J. 64(1): 83-88 (2011). 73. Figueiredo, A. B., Evtuguin, D. V., Monteiro, J., Cardoso, E.F., Mena, P. C., Cruz P., Structure-Surface Property Relationships of Kraft Papers: Implication on Impregnation with Phenol-Formaldehyde Resin. J. Ind. Eng. Chem Res. 50, 2883–2890 (2011). 74. Loureiro, P.E.G., Fernandes, A.J.S., Furtado, F.P., Carvalho, M.G.V.S., Evtuguin, D.V. UV-Resonance Raman micro-spectroscopy to assess residual chromophores in cellulosic pulps. J. Raman Spectroscopy 42(5): 1039-1045 (2011). 75. Jalali, H.T., Ebrahimian, Z.J., Evtuguin, D. V., Pascoal Neto, C. Chemical Composition of Oleo-Gum-Resin from Ferula gummosa. Ind. 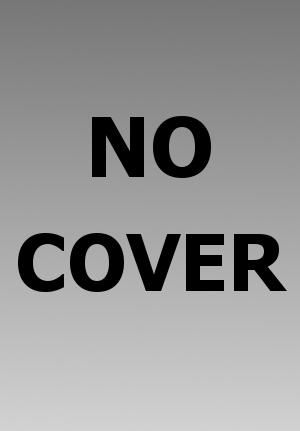 Crops & Products 33: 549-553 (2011). 76. Freire, M. G., Teles, A.R.R., Rocha, M.A.A., Schröder, B., Neves, C.M.S.S., Carvalho, P. J., Santos, L.M.N.B.F., Coutinho, J.A.P. Thermophysical characterization of ionic liquids able to dissolve biomass. J. Chem. Eng. Data. 56 (12): 4813– 4822 (2011). 77. Ferreira, A.R.F.C., Figueiredo, A.B., Evtuguin, D.V., Saraiva J.A. High pressure pre-treatments promote higher rate and degree of enzymatic hydrolysis of cellulose. Green Chemistry 13: 2764-2767 (2011). 78. Tudella, J., Nunes, F. M., Paradela, R., Evtuguin, D.V., Domingues, P., Amado, F., Coimbra, M.A., Barros, A.I.R.N.A., Domingues, M.R.M Oxidation of mannosyl oligosaccharides by hydroxyl radicals as assessed by electrospray mass spectrometry. Carbohydr. Research. 346: 2603–2611 (2011). 79. Figueiredo, A., Evtyugin, D.V., Saraiva J. Effect of high pressure treatment on structure and properties of cellulose in eucalypt pulps. Cellulose 17:1193-1202 (2010). 80. Xavier, A.M.R.B, Correia, M. F., Pereira, S. R and Evtuguin D. V. Second generation bioethanol from eucalypt sulphite spent liquor. 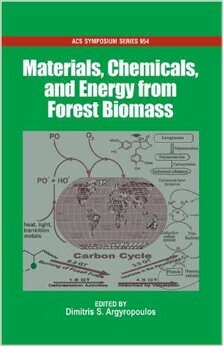 Bioresource Technology 101: 2755-2761 (2010). 81. Loureiro, P.E.G., Fernandes, A.J.S., Carvalho, M.G.V.S., Evtuguin, D.V. The assessment of chromophore moieties in bleached cellulosic pulps employing UV-Raman spectroscopy. Carbohydr. Res. 345: 1442-1451 (2010). 82. Gisela Marques, G., Gutiérrez, A., del Río, J. C. and Evtuguin D. V. Acetylated heteroxylan from Agave sisalana and its behaviour in alkaline pulping and TCF/ECF bleaching. Carbohydr. Polym. 81: 517-523 (2010). 83. Dias, A. A., Freitas, G. S., Marques, G. S. M., Sampaio, A., Fraga, I. S.,. Rodrigues, M. A. M., Evtuguin, D.V., Bezerra R.M.F. Enzymatic saccharification of biologically pre-treated wheat straw with two white rot fungi. Bioresource Technology 110: 6045-6050 (2010). 84. Marques, G., Gamelas, J.A.F., Francisco J. Ruiz-Dueñas, del Río, J.C., Evtuguin, D.V. Martínez, A. T. Gutiérrez A. Delignification of eucalypt kraft pulp with manganese-substituted polyoxometalate assisted by fungal versatile peroxidase Bioresource Technology 110: 5935-5940 (2010). 85. Portugal. I., Dias, V.M., R. F. Duarte and Evtuguin D.V. Hydration of Cellulose/Silica Hybrids Assessed by Isotherm Sorption J. Phys. Chem. B (Soft Condensed Matter and Biophysical Chemistry) 114: 4047-4055 (2010). 86. Loureiro, P. E. G., Domingues, E.F., Evtuguin, D. V., Carvalho M.G.V.S. ECF bleaching with a final hydrogen peroxide stage: impact on the chemical composition of Eucalyptus globulus kraft pulps. Bioresources 5(4): 2567-258 (2010). 87. Gamelas, J. A. F., Carapuça, H. S., Balula, M. S., Evtuguin, D. V., Schlindwein, W., Figueiras, F. G., Amaral, V.S., and Cavaleiro A. M. V. Synthesis and characterization of novel ruthenium tetra-substituted polyoxometalates a,b-[SiW9O37RuIII4 (H2O)3Cl3]7- Polyhedron 29: 3066-3073 (2010). 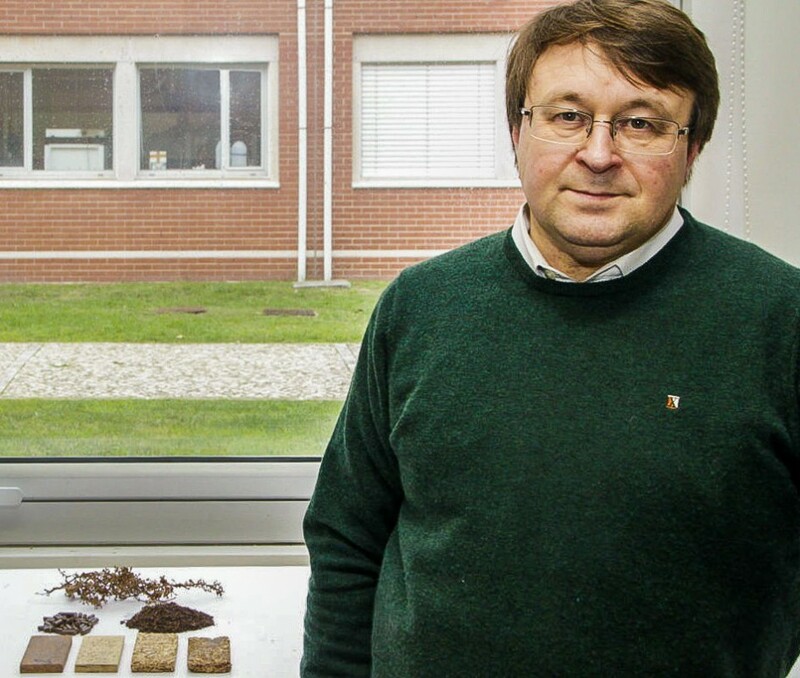 Dmitry Evtuguin, in partnership with the Polytechnic of Viseu, developed pellets, furniture and newsprint from grape stalks. 2018, EUROPEAN POLYMER JOURNAL, 103, 158-169. 2018, INDUSTRIAL CROPS AND PRODUCTS, 112, 225-235. 2018, SENSORS AND ACTUATORS B-CHEMICAL, 255, 2608-2613. 2018, INDUSTRIAL CROPS AND PRODUCTS, 111, 633-641. 2017, FOOD CHEMISTRY, 220, 420-426. 2017, REACTIVE & FUNCTIONAL POLYMERS, 117, 89-96. 2017, HOLZFORSCHUNG, 71, 07-Aug, 619-624. 2017, CARBOHYDRATE POLYMERS, 156, 223-234. 2017, ACTA FACULTATIS XYLOLOGIAE ZVOLEN, 59, 2, 5-22. 2016, CELLULOSE CHEMISTRY AND TECHNOLOGY, 50, 05-Jun, 659-667. 2016, APPLIED CATALYSIS A-GENERAL, 509, 8-16. 2016, CONSTRUCTION AND BUILDING MATERIALS, 102, 435-444. Tribulová, T., František, K., Evtuguin, D.V., Čabalová, I. 2017, Zvolen: Technical University of Zvolen Publ..
2016, 85 Technical University of Zvolen Publ..
2016, 225-244. John Wiley & Sons, Inc.
2014, Houston (USA): STUDIUM PRESS LLC. 2008, 171-188. Oxford, UK: Blackwell Publishing Ltd..
2008, 15-57. Huntington NY : Nova Publishers. 2007, 121-136. American Chemical Society. 2004, 545-570. Imprensa da Universidade de Coimbra.